With Mark 10:46-52 as a backdrop, The Rev. Este Gardner Cantor reflects on the spiritual blindness that accompanies wartime, our contentious relationship as a Church with the idea of just war, and the present situation in Iraq. 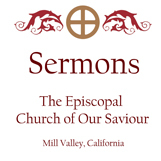 You may download the text of this sermon here.